Alex Rodriguez's daughters are part of Jennifer Lopez's ''assistant team'', and think they're the ''luckiest'' people to get to hang out with the star. 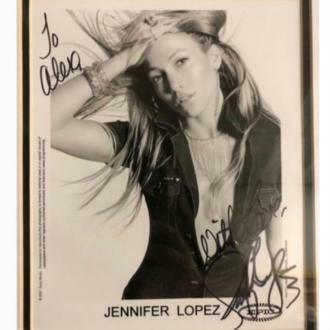 Alex Rodriguez's daughters are part of Jennifer Lopez's ''assistant team''. The 42-year-old retired baseball star has been romancing the singer and actress since February this year, and his two young daughters - Natasha, 12, and Ella, nine, whom he has with ex-wife Cynthia Scurtis - couldn't be happier with the relationship, as it means they get to spend time with their idol. Speaking to People magazine, he said: ''When they're in Las Vegas, I don't think they leave Jennifer's side. They go to the 'locker room' early with Jennifer and help her get dressed and are part of the assistant team backstage. It isn't the firs time Alex has spoken of his daughters' love for the 'On The Floor' singer, 48, as he previously said his brood ''adore'' the star - who has nine-year-old twins Emme and Max with her ex-husband Marc Anthony. And Alex thinks his daughters are hailing him as a ''hero'' for the ''first time'' now that he's romancing Jennifer.